How do I save content from web pages in the editor? How do I backup content from web pages in the editor? Step 1) Backup current content of page prior to editing. Click on the 'Source' link to display the HTML code for the page. Click on the content window and select all text (CTRL+A) and copy (CTRL+C). 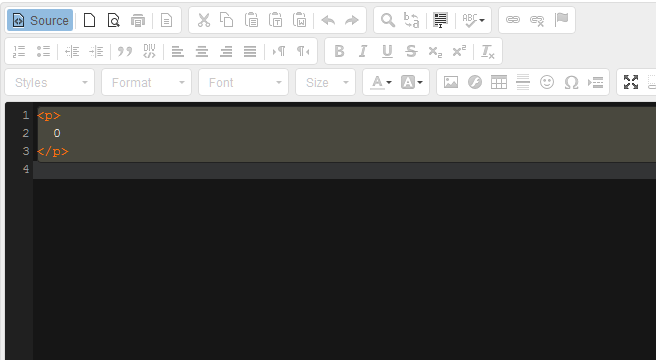 Then open a text editor such as Notepad and paste the content (CTRL+V) and save the file if desired. Click on the 'Source' button again to return to the friendly view. 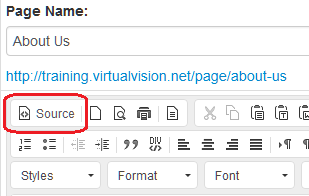 If you need to revert your page back to the previous version after editing, go back into the 'source view' and overwrite all of the contents from the notepad file you created in the step prior.